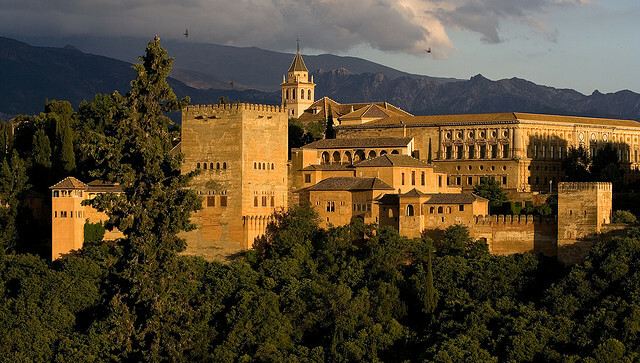 Famous for its masterful ornamentation and innovative design, the Alhambra palace in Granada is probably the best known monument of Moorish architecture. The enormous palace stands on a hill overlooking the city and comprises of beautifully decorated rooms, exotic gardens, interior courtyards, fountains and even pools. In addition to its aesthetic value, the palace if also the result of remarkable engineering: the 14th century building was provided with an irrigation system, luxurious bathrooms and running water. 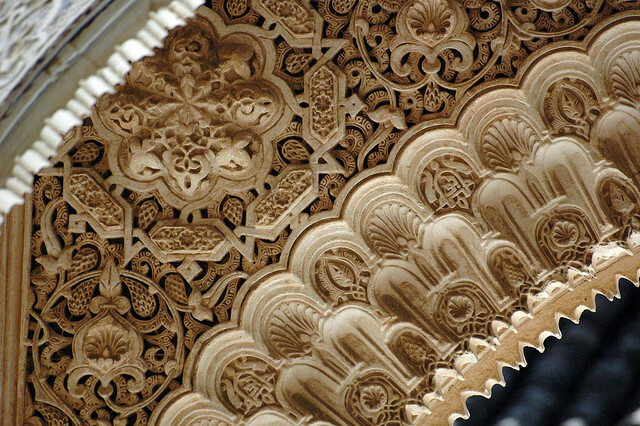 The monumental mosque in Cordoba is now a catholic cathedral (its current name is the Cathedral of Cordoba), but during its multi-centennial existence it has welcomed both Christians and Muslims. The cathedral’s emblematic columns and the expensive materials used in its construction (marble, granite, jasper) are signs of its uniqueness. While admiring the beautiful glass panels or the interior courtyard, keep in mind that the construction dates back to year 987. 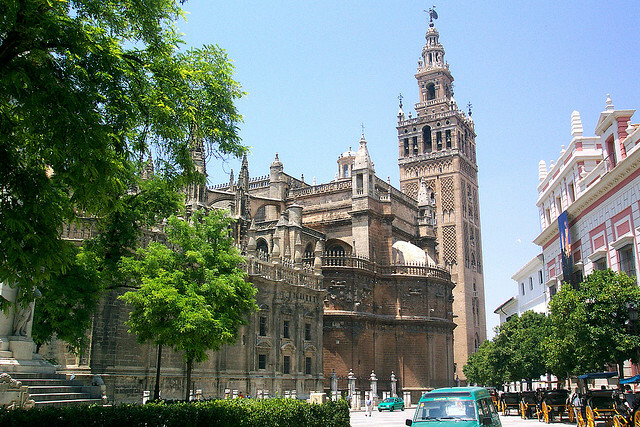 The Giralda is probably the monument with the most interesting history. Initially built as a minaret, Giralda was reconstructed in several occasions, each time following a different architectural style. However, much of the tower (the part from the bell down) has still preserved the original look, as proved by the stone work and arched windows. This church is a perfect illustration of a popular style called Mudejar, which is a blend Islamic and Christian architectural styles. For those interested in what would such an interesting combination, the town of Teruel is the perfect destination. The cathedral is appreciated for its ceiling and mix of styles (while its construction started somewhere in the 12th century, it was only finished in the 20th).